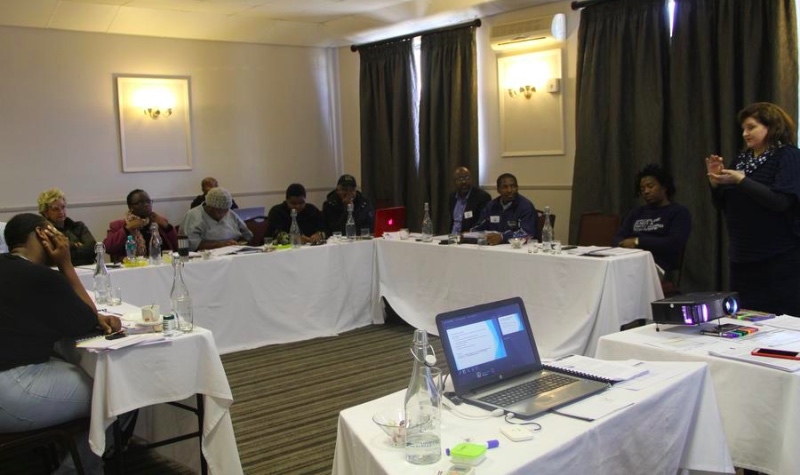 The Buffalo City Metro Export Helpdesk in partnership with Eastern Cape Development Corporation (ECDC) held a sector specific training for emerging and seasoned exporters on Wednesday 04-06 June at King David Hotel. Over 10 companies from around the City in the agri-processing, manufacturing and creative industry sectors took part. Buffalo City Export Helpdesk is an initiative of the Metro and ECDC mandated to develop and promote exports in the City and its surrounding areas. Buffalo City Export Helpdesk unit alignes its activities with the National Export Development Plan (NEDP) that identifies the steps that entrepreneurs go through from a domestic enterprise to a global enterprise and facilitation of export trainings in the region is one of the key deliverables of the Export Helpdesk. Suzanne Herbst who is the facilitator from Sandra Kruger and Associates(SKA) reiterated the need to empower export entrepreneurs as this will go a long way in understanding trends in international markets. “The idea behind these kinds of training is to finetune and impart knowledge to the exporters for them to have a better understanding of how international trade works and opening up channels of communications,’’ said Herbst. One of the exporters in the training Odwa Ngcape from Eyethu Paint Factory said he was delighted about the opportunity given to the emerging exporters and had this to say about the training, “This will open doors for us as emerging exporters and we are excited about the opportunities ahead,” said Ngcape. The Metro embarks on these kind of export trainings twice a year to further enhance skills development for growth to ensure that exporters thrive in their respective businesses.